​Condo insurance coverage has two parts: one policy for a unit owner and another for the condo corporation. As a unit owner, you have title to your unit as well as a share in common property such as a lobby, rooftop patio, swimming pool, parking garage and other amenities. A bare land condo may have only a few common areas such as streets or roadways that provide access to the units. Why do I need insurance on my condo if the building already has insurance? Your building’s insurance policy generally covers common areas like the lobby, elevator, gym, etc. It’s possible that their policy would cover fixtures in your unit like appliances, wiring, plumbing, and carpets, but not guaranteed. Their policy will not cover any personal property of yours, liability for injuries or damages, or medical payments. Because there is no building value, you and your broker will agree upon a value for your personal property. This value will be used to calculate the percentages for unit improvements and betterments, additional living expenses, loss assessment, and contingent insurance. What else is covered under my condo policy? Similar to a home policy, you can get coverage for non-owned property, property you travel with, property of your child attending a school, and property left in your vehicle. Non-owned property insurance will cover the laptop your sister forgot when she visited last week. Property you travel with will cover the laptop and cell phone you took with you on your recent trip to Jamaica. Property of your child while they’re attending school will cover your student’s electronics if someone breaks into their dorm room. Property left in your vehicle covers you if your new TV is stolen from your back seat. What is unit improvements and betterments coverage? Just like owning a home, you have the ability to change the flooring, light fixtures, cupboards, etc. Any upgrades you’ve made are not covered under the condominium’s policy. This coverage will allow your upgrades to have the same protection as the rest of your personal property up to the specified limit. You need to inform your broker when you’ve made these improvements to ensure your coverage is up to date. What is additional living expenses coverage? This coverage will pay for you to live somewhere else while your condo is being repaired after a claim. These costs can be moving costs, hotel or apartment fees, meals, groceries, etc. This coverage applies up to a specified limit. What is loss assessment coverage? While your condo should have liability insurance of their own, loss assessment coverage for liability steps in when theirs can’t meet the claim. Let’s assume a visitor to the building slips in the freshly mopped floor and is badly injured. He has sued the condo corporation for $4,000,000 and won. The condo’s insurance policy caps out at $2,000,000, so the remaining $2,000,000 needs to be made up by the individual unit owners. The loss assessment coverage would cover your share of the $2,000,000 up to your liability amount. Your condo should also have property damage insurance of their own, but in the same situation your loss assessment coverage for property damage would step in to meet your share of the claim. This coverage is capped at the specified value on your policy. What is contingent coverage? 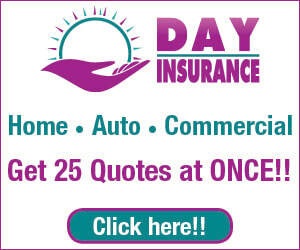 Contingent insurance for a condo is similar to uninsured driver insurance for your car. If, for some reason, the condo corporation has too little insurance or none at all on your unit, the contingent insurance will step in to cover your unit’s walls, floors, plumbing, fixtures, etc. this coverage is capped at a specified value.